Teacher in charge of Red Ribbon Club, Mrs. Shubhada Bandodkar highlighting different aspects of HIV/AIDS. Teacher in charge of Red Ribbon Club, Mrs. Shubhada Bandodkar giving a powerpoint presentation on HIV/AIDS. 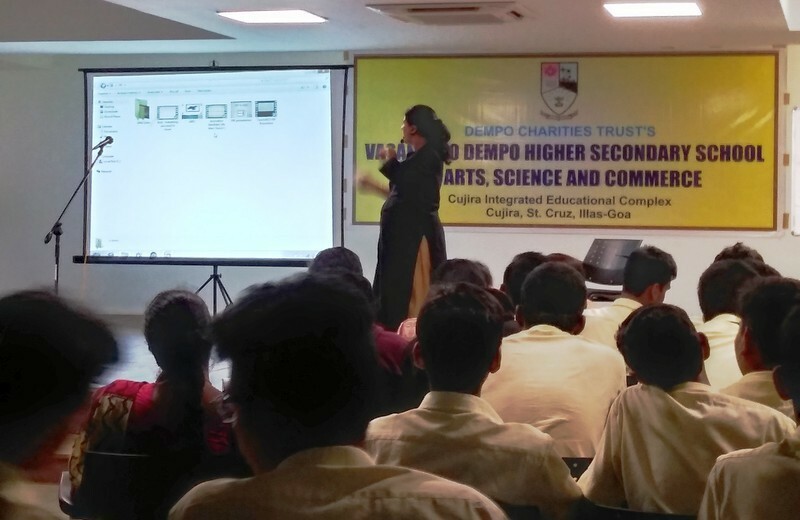 The Red Ribbon club of DCT’s Vasantrao Dempo H.S.S. of Arts, Science &amp; Commerce, Cujira, St. Cruz organized a talk on HIV/AIDS on the occasion of International Youth Day on 12 th January, 2018 in the Audio-Visual room of the institution. The session began by pinning the red ribbons to teachers, administrative staff and students with the objective of sensitisizing them on the issue of HIV/AIDS. The responsibility of the same was undertaken by teacher, Mrs. Swara Morajkar. 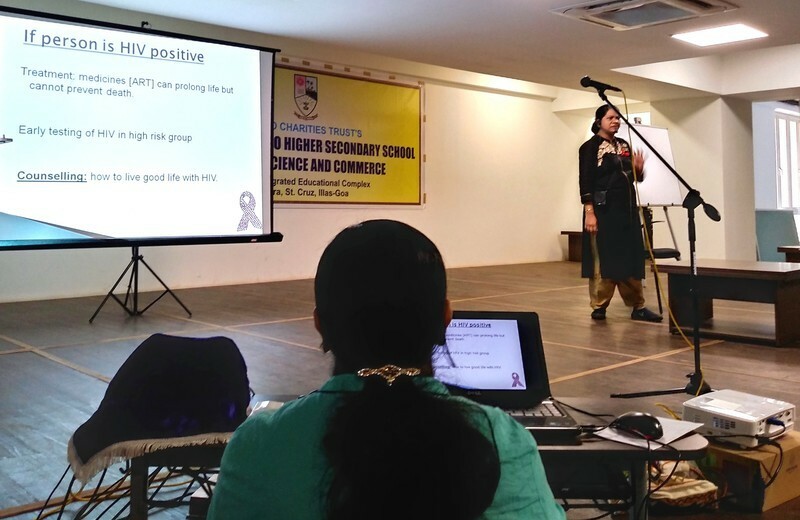 Teacher In – charge of the Red Ribbon Club, Mrs. Shubhada Bandodkar presented the statistics about the status of HIV/AIDS cases as provided by the Goa State AIDS control society. This was followed by our interactive video presentation that highlighted various aspects about HIV/AIDS like transmission, communicability, prevention and treatment of AIDS. Teacher, Mrs. Lina Gad showed various videos showing the plight of people suffering from HIV/AIDS. There was an overwhelming participation in the question answer session various questions related to reproductive health and HIV/AIDS were systematically answered.